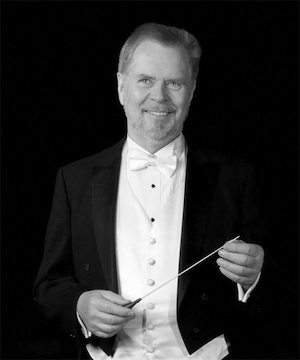 Colorado MahlerFest Founder and Music Director, Robert Olson, to retire in 2015, after 28 Years. What began as an idea born on the shores of Lake Dillon one day 28 years ago has blossomed into something no one could have possibly predicted. The most frequently asked question I heard during the first ten year cycle was “what will you do when you’ve completed the cycle?”, and I always answered “we’ll cross that bridge when we come it”, thinking to myself “not to worry, we’ll never get anywhere near that!” I mean, how could I possibly put together an Eighth Symphony on our small budget? Well, we not only completed the first cycle and performed an Eighth that critics raved about worldwide, we are nearing completion of our third cycle! All good things must come to an end, and it is time for me to step down. I’ve done a few rough calculations … over the years I will have recruited close to 3,000 orchestra musicians, approximately 1200 choristers, and 30 soloists over the years, and this just for the symphonies! While standing in front of these passionate and dedicated musicians has been a phenomenal privilege for me, my time has come to step down and end my participation in the MahlerFest on a glorious note in 2015 with the Ninth Symphony, Mahler’s own “farewell” of sorts. 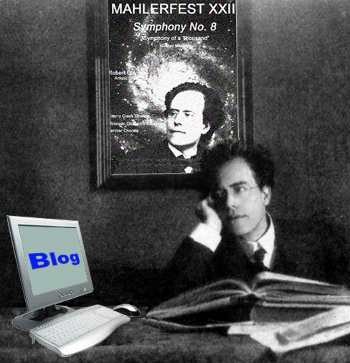 Should you be interested in helping the Board of Directors as they try to determine our future, please contact any one of them (or me), at www.mahlerfest.org, as I know they would welcome your thoughts, ideas, and muscle. In the meantime, I thank you for your patronage and support over the decades and look forward to a great Sixth Symphony and Rückert Songs this year.